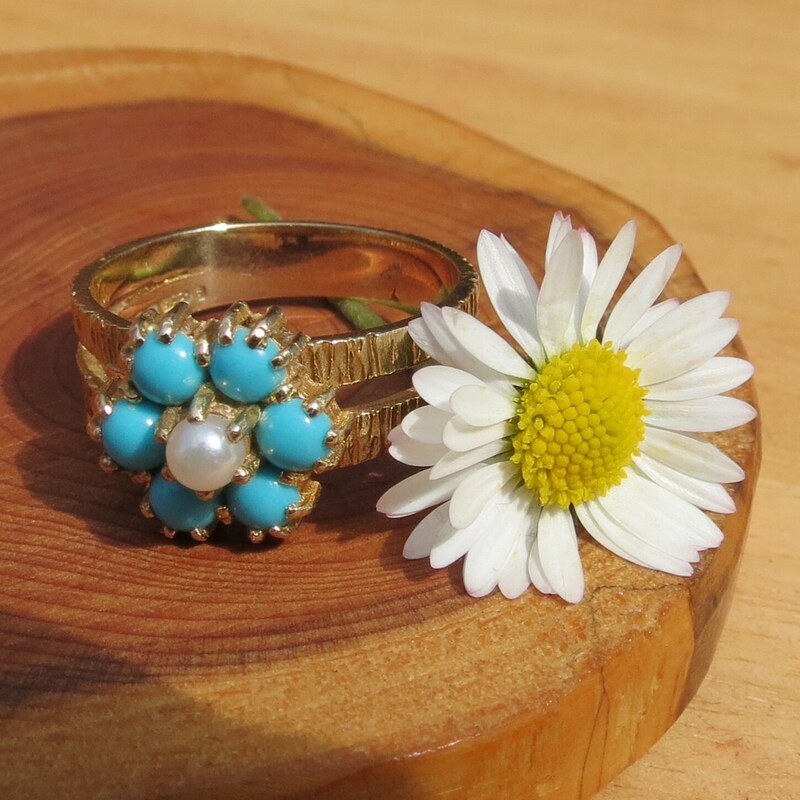 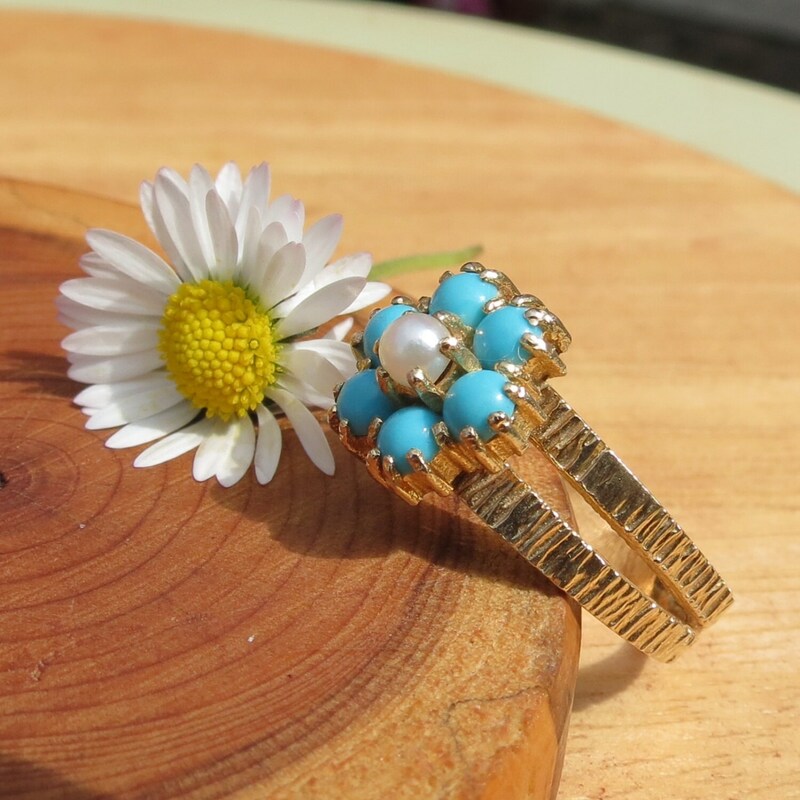 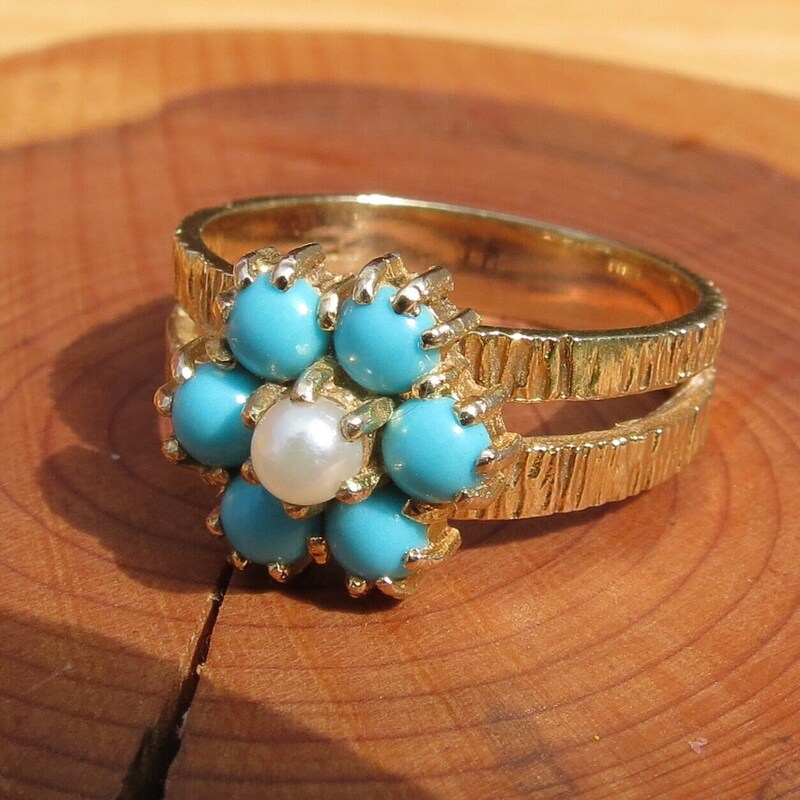 A 9k yellow gold ring with flower design, five turquoise petals and a central pearl, mounted on a twin shank with bark effect. 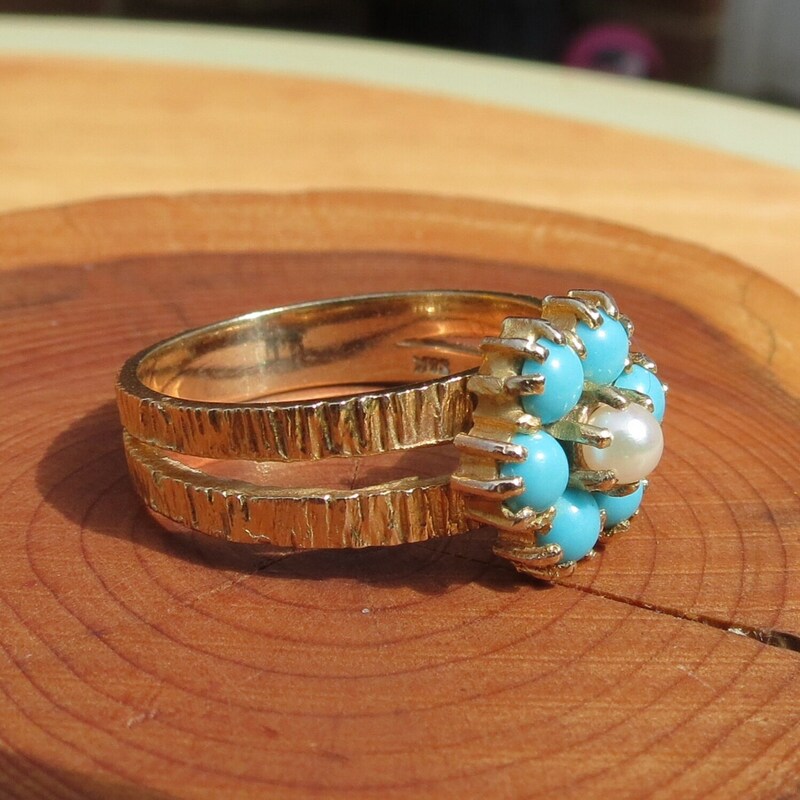 In very fine condition, an original and unique 1970's design. 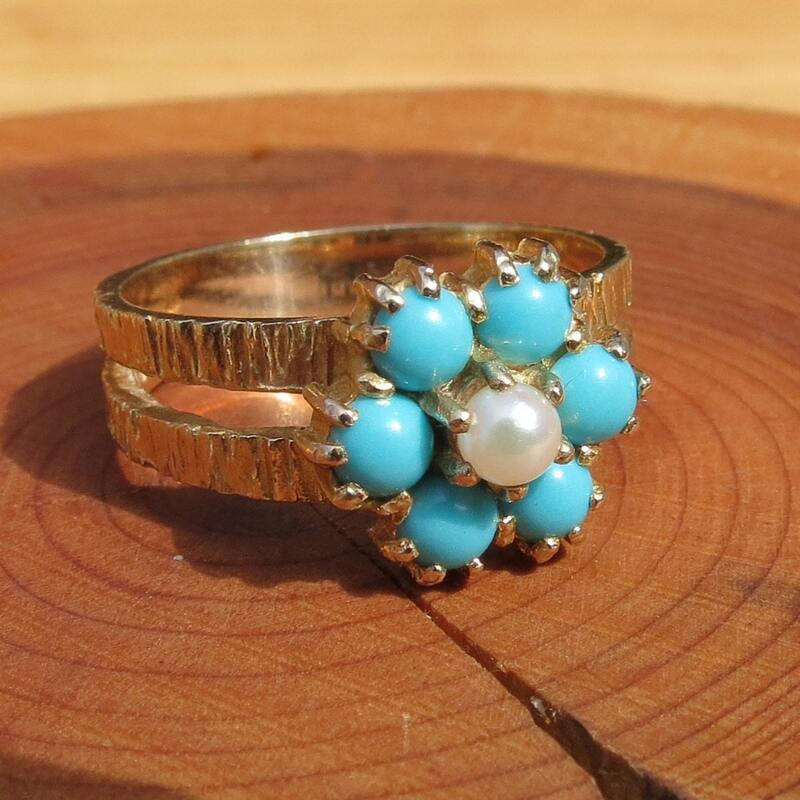 However there will be a small section to the shank without bark effect.